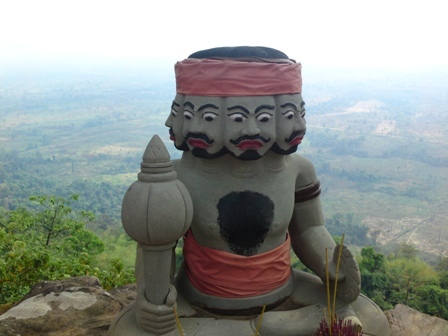 A bizarre Buddhist shrine, on the isolated Dangrek Escarpment, Cambodia. This is where the atheist and genocidal Khmer Rouge leaders of Cambodia spent their final, brutal years. Clink the links on the left to discover the TRUTHS behind The Lost Goddess (aka Bible of the Dead in the UK) .